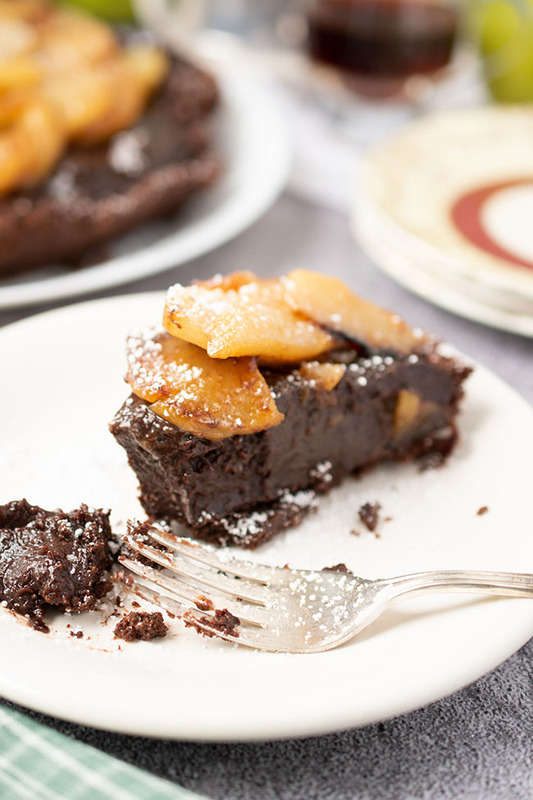 To make things super simple, the recipe calls for a store-bought gluten-free chocolate pie crust. If you want to make your own pie crust, try this cashew cookie crust or this quick chocolate sandwich cookie crust. 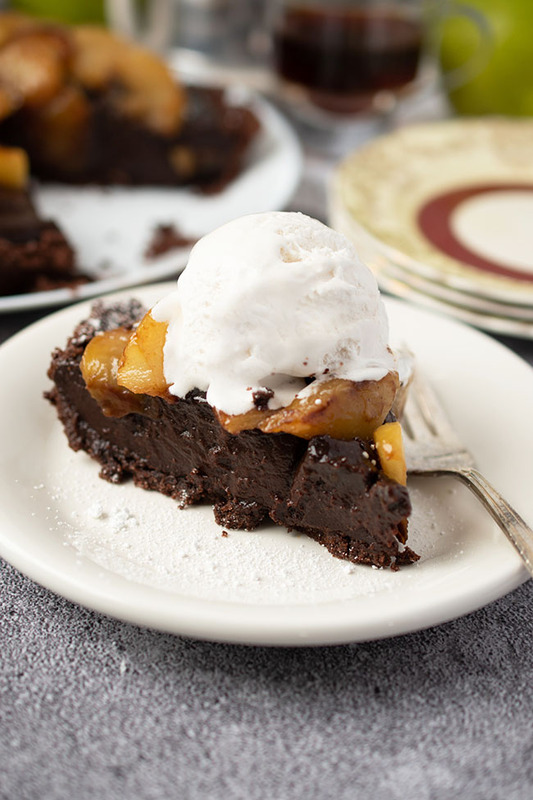 The filling for this pie is based on a classic chocolate pudding pie. I have veganized the traditional recipe by using non-dairy milk and vegan margarine. Other than that, it's a classic combination of cocoa, sugar and cornstarch. Be sure to look for organic cornstarch if you wish to avoid GMOs. The chocolate pudding filling comes together in only minutes on the stove. The only hard part of this recipe is waiting while the pie sets in the fridge. On to the pie topping - caramelized fresh sliced California Bartlett Pears. California Pears are available here in Canada in July and August. I used them in this recipe for Pear Ginger Muffins too. 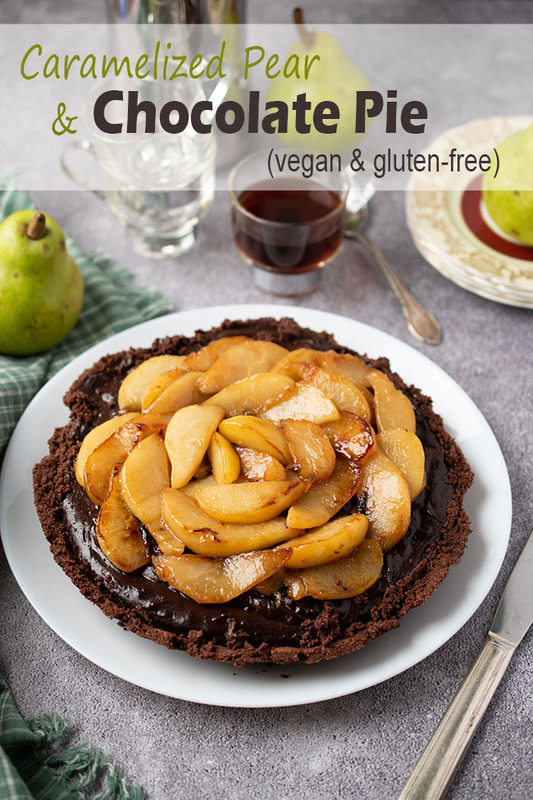 To make the quick, easy and delicious pear topping for this vegan chocolate pie, all you have to do is peel, core and thinly slice two pears. 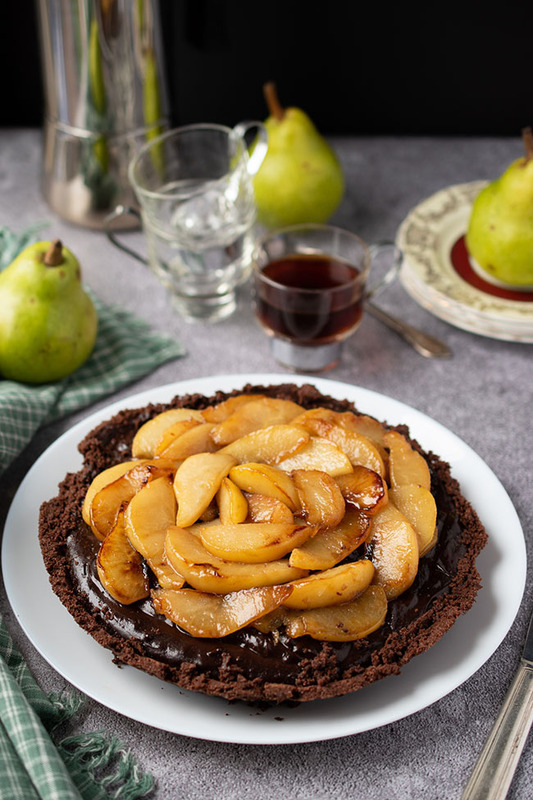 Saute the pears in vegan margarine for a few minutes, stir in maple syrup, vanilla and salt and arrange the topping on the chocolate pie filling. 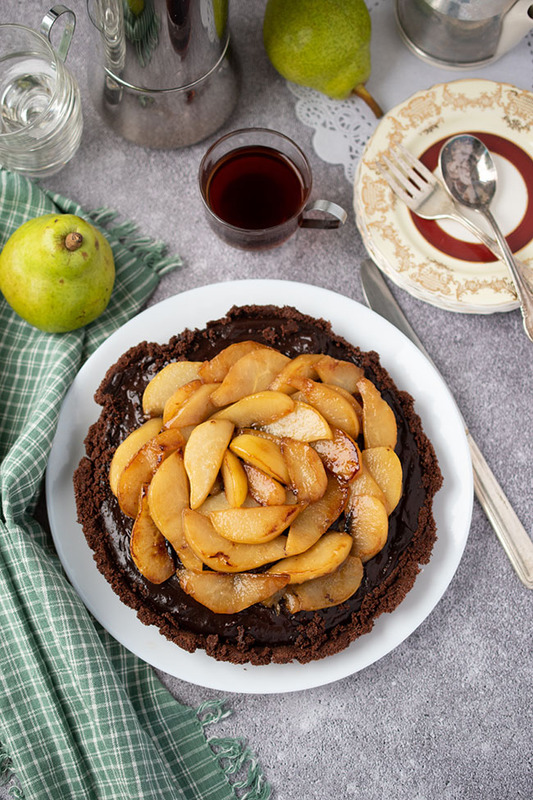 The finished pie has a rich, chocolate flavour, and the smooth chocolate filling contrasts nicely with the caramelized pear slices. You can sprinkle on some icing sugar (powdered sugar) for an extra decorative touch. 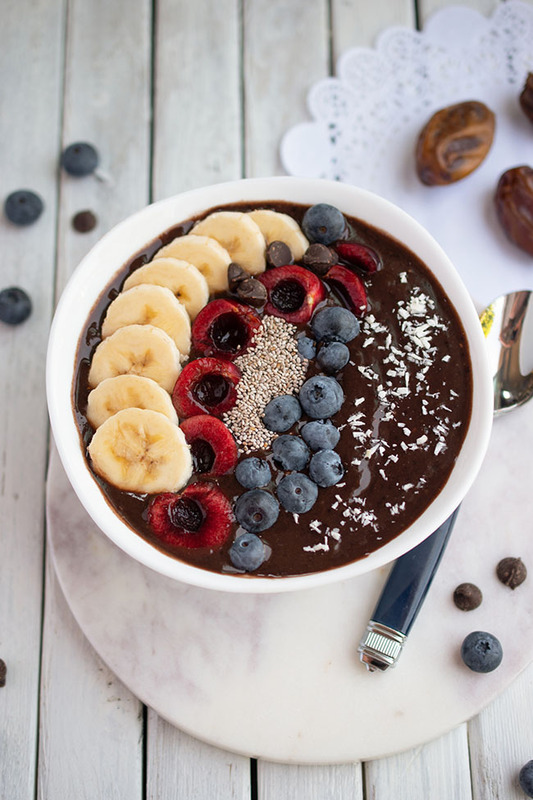 Top each serving with non-dairy ice cream, coconut whip, chocolate sauce or chocolate chips, if desired. 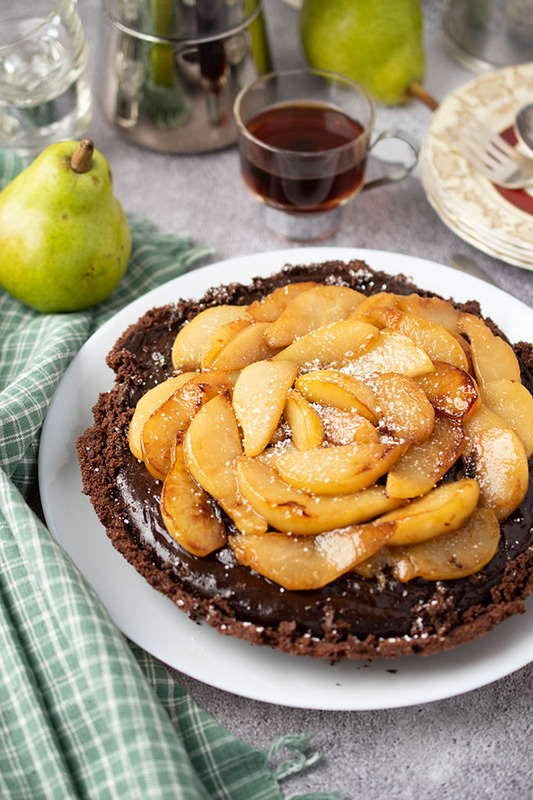 The use of pear slices as a pie topping boosts the nutritional value of your dessert with good fibre. California Pears also contain antioxidants, Vitamin C, potassium and folic acid. 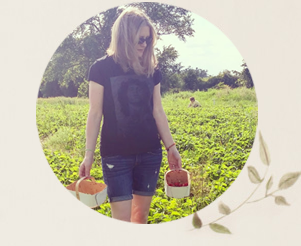 They are grown on 60 small family farms that focus on natural pest control and reducing the use of fertilizer. And the harvest of California Pears doesn't compete with that of Canadian pears, as those are available later in summer and in early fall. In a large pot, stir together cocoa, sugar, cornstarch and salt. Add non-dairy milk slowly, stirring as you go. Whisk together well. Place on stove over medium-high heat. Bring to a boil, whisking regularly. Pour filling into store-bought 9” gluten-free chocolate pie crust or baked, cooled homemade pie crust. Cover and refrigerate while preparing topping. In a large skillet, melt vegan margarine over medium-high heat. Add pear slices and cook until browned on one side, about 4 to 5 minutes. Turn heat down to medium. Turn pear slices over and cook an additional 3 minutes or so, until browned, being careful not to burn. Add maple syrup and stir gently. Cook for 1 minute. Remove from heat. Stir in vanilla and salt. 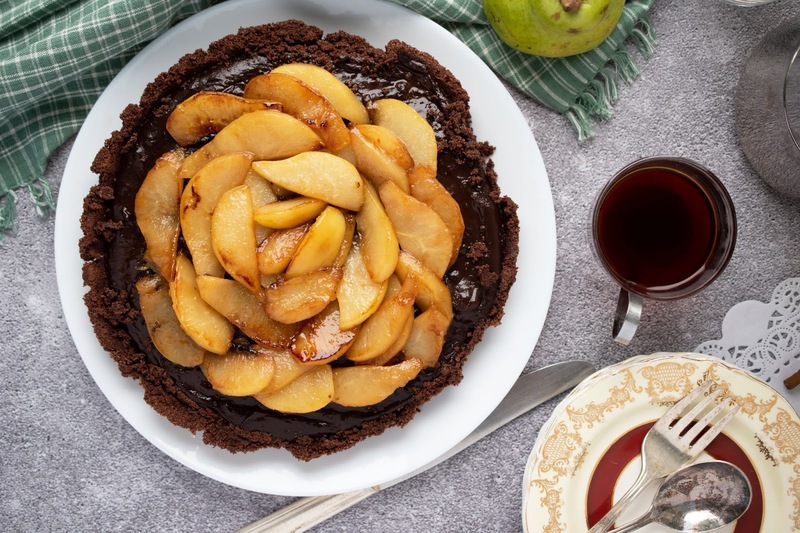 Allow to cool before arranging pear slices on top of pie filling. Cover and refrigerate pie for 4 to 6 hours, until filling is firm. Serve with vegan ice cream or coconut whipped cream, if desired. This looks amazing! So beautiful, and I bet the texture is just perfect. I love Bartlett and Bosc pears the most. And I like them soft. Not a fan of Anjou pears. In desserts and salads too. Oh and in a panini too. This pie looks delicious. I would top with a little whipped cream. Thanks for sharing. Yum! In a panini sounds fantastic! Great idea. OMG that looks amazing! I am a chocoholic so this is a no-brainer. 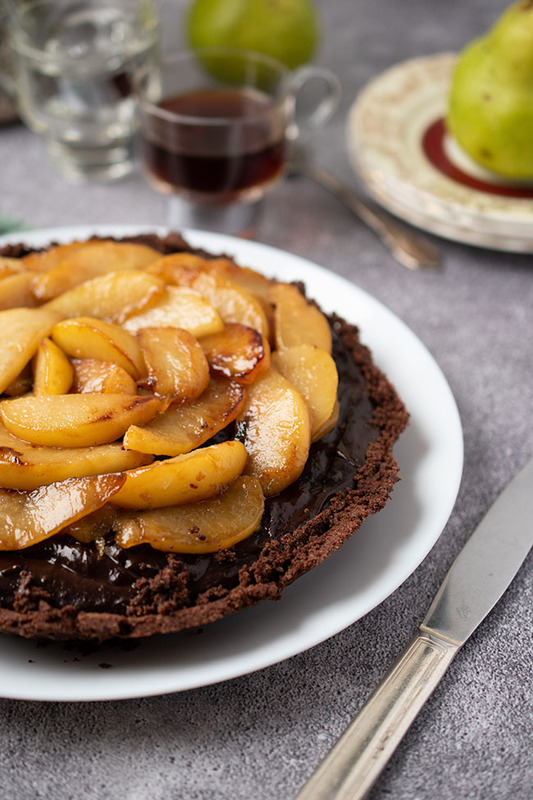 I assume adding the pears are healthy and means I can have an extra slice, right? !